Industry 4.0 is a fascinating, exhilarating and scary place. No-one is entirely sure where it is all going. It sometimes feels a bit much. There are robots in the factories, AI in the boardroom, products and services that become irrelevant almost the moment they’re created, and loose-knit organisations wherein no-one and everyone is a manager at the same time. It’s difficult to see your place in that world, isn’t it? Four technologies will drive change over the next three or four years, according to the World Economic Forum’s 2018 Future of Jobs report: Ubiquitous high-speed mobile internet, artificial intelligence, the widespread adoption of big data analytics, and cloud technology. By 2022, the report shows, 85% of companies surveyed will have invested in big data analytics, Internet of Things and apps, and cloud computing. Across all sectors, up to 37% of respondents are planning to adopt robots. In response to these changes, new business structures are emerging, driven by a need for flexibility and collaboration. An EY.com study titled Global Generations: A Global Study on Work-life Challenges Across Generations, found that 71% of respondents would leave "a work environment that does not encourage teamwork”, and 69% would leave because of a “boss who doesn’t allow you to work flexibly”. And with 75% of millennials taking up management positions in industry according to Deloitte Global 2018 Millennial Survey, new structures like the remote workforce and holacracies (where companies go without managers) are likely to become commonplace. It is all very intriguing, but it would be very odd not to feel overwhelmed at the sheer magnitude of the shifts taking place. Even millennials and Gen-Zs are nervous. In the Deloitte Millennial Survey, 10 455 millennials and 1 844 Gen-Z took part, and both generations don’t feel ready for industry 4.0. So where will middle managers fit in? And what skills will ensure relevance in this new environment? "By embracing AI, you’ll have more time to revitalise your teams, re-establish organisational goals and values, and navigate the changes in the industry. You will also be able to be more agile by harnessing big data," says Boxall. "It’s important to move with the times, to understand the context in which you operate and will operate in tomorrow,” she says. “Something as simple as grasping that the world has moved online." Look at the pizza industry in the US. It’s a simple product that’s 300 years old with simple business models: take away, sit-in, take n’ bake, and delivery. And there are 75 243 pizza shops in the US. They all try to compete on toppings, and atmosphere, on crust thicknesses, and baking techniques, but analysis has shown that those pizzerias with the highest web rankings, also have the highest sales. A simple win. "In a world where everything is automated and we don’t actually have to show up to a physical office space, organisations will, paradoxically, thrive on human interaction," says Boxall. "Those interactions and relationships will need to be nurtured, guided and harnessed. The skill relies on listening, understanding and respecting the needs of others." "These are the types of demands and needs that if heeded by a good manager, will help retain talent and drive motivation in the workplaces of tomorrow," she says. "It is no small ask," she says, "but it is also not impossible to achieve." In this way, by the time an AI machine is sitting on the board of the company – as has been predicted – you will be sitting comfortably across the table from them. 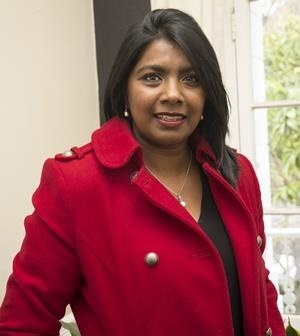 Kumeshnee West is the Executive Education Director at the UCT Graduate School of Business.